Commercial Carpet Cleaning in Irvine for all businesses purposes. Dr. Carpet Irvine has over 10 years of experience in keeping your working environment clean and fresh. Whether it is for the comfort of your employees and/or your clients. A clean working environment is known to be more productive altogether. Therefore, we strongly advise to schedule a maintenance meeting with one of our specialists in order to have a recommended commercial carpet cleaning plan. Your office should be treated with no less respect than your home or your car. Actually, your office is the number one priority for representing your product or service. In addition, it is known that in a clean working environment employees are much more productive. Also, they take their job with much more seriousness. Commercial Carpet Cleaning in Irvine, Going Into Details. We can break down the commercial carpet cleaning into two main services, commercial carpet cleaning and industrial carpet cleaning. Each one has a unique set of characters that make the process slightly different and specific. Commercial carpets are famous for their short pile carpet that is very thin and cheaper than the average carpet. In addition, commercial carpets are normally glued down to the floor and have no pad. Therefore, commercial carpet cleaning demands the right experience for treating the carpet right and extracting it properly. Otherwise, in case the carpet stays wet, the dampness might penetrate into the glue. Thus leaving wet looking marks around the carpet and mainly in the high foot traffic areas where heavy treatment is needs. Normally in extremely high foot traffic buildings you will find industrial carpets. Industrial carpet is much thicker and durable than the commercial carpet. Therefore, the industrial carpet can take much higher foot traffic over the years. Meaning, it would last much longer in your office. When we approach an industrial carpet cleaning we can use our heavy duty equipment more freely. Normally, we use a dual carpet cleaning method on your industrial carpet. First, we buffer the entire carpet with strong dirt removing solvents. Then we use our truck mounted steam cleaning system to extract it out. This process will leave your carpet much fresher for a longer time. Looking for a commercial carpet cleaning service in Irvine, CA? 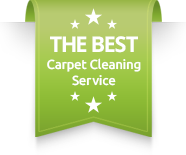 How should you know how to choose the right carpet cleaning company for you? Also, how should you choose the right carpet cleaning method to be used? These great questions we will try to elaborate on and help you make the right decision for you office space. Commercial carpet cleaning in Irvine, CA is a highly desired service. With the growing businesses centers in Irvine and nearby cities, the demand for carpet cleaning has risen as well. Some companies with with 30,000-40,000 square feet of carpet in the office, while some have 500-1000 square feet. The typical price per square foot for commercial carpet cleaning varies from $0.07-$0.30/sq ft. This is a big difference in pricing especially when the space is large. Therefore, we strongly recommend for you to be familiar with the details of your commercial carpet cleaning needs. Types of carpet and amount of traffic. 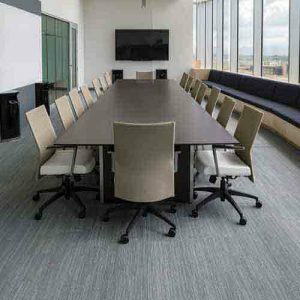 The main variables that determine the price of a commercial carpet cleaning are the type of carpet and amount of foot traffic.First is the type of carpet. In most cases you will find the basic commercial carpet installed in office buildings. However, especially in Irvine, many upscale commercial building have top notch industrial carpet installed. That means a much thicker and durable carpet. Industrial carpet is much more expensive, but it is much easier to clean. The main reason is the thickness and durability. You will have less likelihood of stains penetrating the carpet. Therefore, a maintenance type of carpet cleaning could be applied.In addition, in case you have high foot traffic in your office, you will notice ware and tear quite often. Therefore, we would advise on a periodical carpet cleaning program. Nevertheless, if you do not maintain a good periodical carpet cleaning, deep carpet cleaning would be necessary. That means the price per square foot rises. The reason for that is the type of equipment used, the type and amount of carpet cleaning products, and the time spent on a job.Therefore, think a head of time and keep a good maintenance of your carpet. What make our commercial carpet cleaning in Irvine, CA so special? Well, we would love to discuss that for many hours. We take great pride in our carpet cleaning equipment and products. However, we will get right to the point. With over a decade of carpet cleaning experience and countless jobs under our belt, we have the knowledge and the ability. We have the ability to give you the results you are looking for with an easy going attitude that would make your office life much easier to deal with. For more information about our commercial carpet cleaning in Irvine, CA, please contact us.